HELLO, SOJI. Haworth's new task chair is now available! HELLO, SOJI. Haworth’s new task chair is now available! Soji, the newest addition to the Haworth portfolio of premium task chairs, is now available to order with a 3-week lead time. Soji is a highly-adjustable task chair with more ergonomic options than most task seating in its class­­­. Designed for a wide range of people, spaces, and modes of work, Soji supports employees with effortless comfort and efficiently satisfies workplace strategies for better well-being. 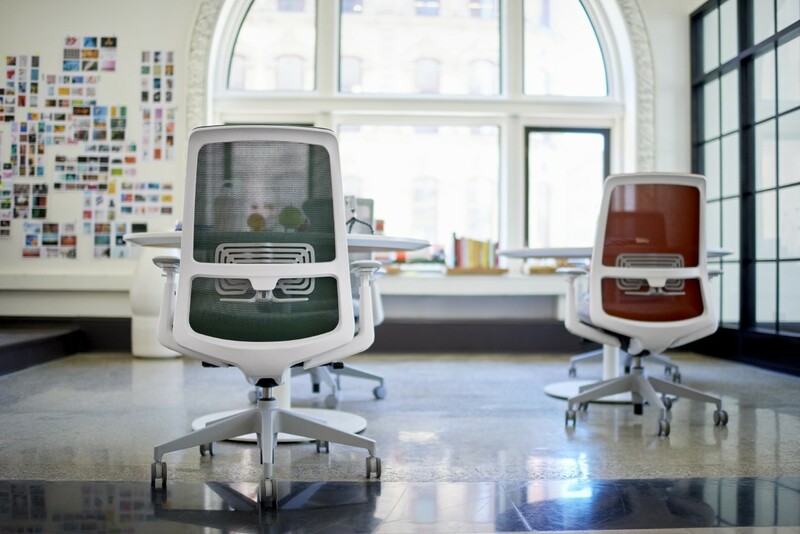 Employees will appreciate the effortless comfort while designers will love the refined color and finish options. Its fit and finish convey the Haworth quality organizations count on to ensure the chair will perform for the long-term. It s easy to operate ergonomic adjustments fit multiple users and postures to ensure Soji is comfortable and that people are ergonomically supported for years to come. Soji comes with Haworth’s standard 12-year, 24/7 warranty up to 325 lbs., including parts and labor with no hidden charges. Soji is BIFMA G1-2013 compliant for customers who want to invest in their employees while remaining cost conscious.